Jo was born in San Jose, California to Frederick and Victoria Evans. In 1951, the family moved from Soledad to Watsonville where Jo entered second grade at Moreland Notre Dame Academy. She graduated from Mora Central High School in 1962. After graduation, Jo attended Cabrillo College where she studied in the Art Department. During these years, she worked at Ford’s Department Store as a window dresser. Following Cabrillo, Jo moved to San Jose where she was employed as a window dresser throughout the Bay area. Soon, she found work with an engineering firm. An opportunity to work in the Engineering Department at City Hall in Salinas was offered and Jo was hired. She was the first woman employed in engineering for the City of Salinas. After more than 30 years, Jo retired. She spent her retirement years bowling, traveling, and keeping in touch with friends from City Hall and with school mates whom she dearly loved. Jo cherished her friends and family. Jo was diagnosed with cancer in early 2018. 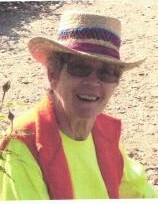 She was tended to by her family and Hospice of Santa Cruz County. In the months that followed she kept in touch with lifelong friends and never lost her wonderful sense of humor. Jo passed away peacefully on Friday, February 15, 2019 surrounded by her family. She was preceded in death by her parents, Fred and Vickie Evans and her nephews, Doug Hogue of Gilroy and Kurt Miedecke of Santa Cruz. She was also preceded in death by her aunt Ruth and uncle Loren Smith of the Monterey Peninsula. She leaves behind their sons and daughter. She also leaves behind Fred Evans, Jr., his wife, Rosemarie and their family in Gilroy, her sister, Kathleen Miedecke and her family in Watsonville, and her brother, David Evans and family in Santa Cruz County, as well as her loving cousins Howard Conner, his wife, Laurie, and their family of Watsonville, and her cousin, Laurel Conner of Southern California. She will be missed by her relatives, the Panziera Family of the Salinas Valley. Jo was honored with a celebration of her life on October 28, 2018, a gift from the Dream Foundation of Southern California. The family wishes to thank Hospice of Santa Cruz County for making this celebration possible, and for the loving care they provided to Jo during that last months of her life. At her request, there will be no formal funeral services. The family thanks Mehl’s Colonial Chapel for respectfully tending to Jo’s Final requests. The family asks that donations be made to Hospice of Santa Cruz County or to your favorite charity. | 222 E. Lake Ave.